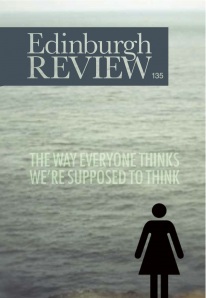 My review of Ford’s lastest novel Canada (spoiler: I liked it) is in the new issue of Edinburgh Review (no.135) along with poems by Benjamin Morris and an essay by Ryan Van Winkle, two gentlemen that are well-known to me. Richard Ford’s seventh novel is a curious hybrid. His early novels (A Piece of My Heart, The Ultimate Good Luck) were sparsely written exemplars of the dirty realism promoted by Raymond Carver and Tobias Wolff, and focussed on characters who, through poor luck and judgement, found themselves in desperate situations that built to an act of violence. The Sportswriter was a conspicuous departure in style and content, shifting the action to suburban America, and the dreamy, middle-aged ruminations of Frank Bascombe. Despite its acknowledged debts to Walker Percy’s The Moviegoer, Bascome’s method of narration had a charm and thoughtfulness that Ford sustained throughout two subsequent novels featuring the character (Independence Day and The Lay of the Land). Canada’s opening sentences seem to align it with Ford’s earlier work: ‘First, I’ll tell you about the robbery our parents committed. Then about the murders, which happened later.’ This matter of fact statement sets up the structure of the book. In the first part Dell Parsons, a retired teacher in Canada, tells of how his family broke apart after his father robbed a bank; the second part relates what happened to him after his parents went to jail and he was sent to live in rural Saskatchewan. Though those opening sentences are attention grabbing, and promise some genre elements, they also have the effect of removing a degree of tension from the narrative. Both the robbery and the murders, when they eventually occur, are related in minimal fashion. One reason for this is because Dell believes the context is as important as the crime- their family life had both ‘the side that was normal and the side that was disastrous’, and they were inextricable. Ford’s depiction of the family dynamics — the tensions and affinity between Dell and his sister Berner; the mismatch of his parents — persuasively fuses the insight of the elderly narrator with the bewilderment of his younger self, deepening our feeling for how the two children are affected by their parents’ crime. Despite the subject matter of the novel, the tone of the book is more in keeping with the Bascombe novels. Though this is a tale told by a man in his sixties, the five decades of Dell’s life after the murders are dealt with in only a few paragraphs near the end of the book. Canada is an attempt by a man to understand the most important events in his life, to follow his father’s injunction that he ‘find ways to make everything make sense.’ What makes Canada more than a coming of age story with thriller elements is that Dell admits that ‘making sense’ is not necessarily the same as trying to tell the truth. He excuses his younger self’s lie to his father by claiming ‘it was better than saying what was true’; he justifies another deception (this time of himself) with the rationale that ‘in all ways it seemed better to think that’, the implication being that when we try and remember our past, the truth is not always what is best for us. Though the novel is stylistically grounded in the realism of Ford’s earlier work, Canada is more interested in how (and why) narratives are constructed. Dell slightly misquotes John Ruskin as saying ‘composition is the arrangement of unequal things’, which perhaps refers to the need for distortion in order for Dell’s tale to make the right kind of sense to himself (he might also have quoted Ruskin’s dictum regarding the process of making ‘things separately imperfect into a perfect whole’). Dell’s memories, and his mother’s prison diary, can only take him so far in his attempt to ‘make sense’ of what happened. As he says, there are ‘reasons that in the light of a later day don’t make any sense at all and have to be invented’. Dell is constantly interrogating himself, posing questions and providing answers then undermining those answers. One example of this is his use of the idea of ‘destiny’ or fate. In the novel’s second paragraph there is a suggestion that his parents were ‘destined to end up the way that they did’, an idea developed a few pages later when Dell speaks of his father being ‘in the grip of some great, unspecified gravity’. Later in the novel he tries to argue that ‘because very few people do rob banks, it only makes sense that the few are destined for it’, but immediately admits that he finds it ‘impossible not to think this way, because the sense of tragedy would otherwise be overwhelming to me.’ However, he goes on to exempt himself and his sister from fate, claiming they were ‘accountable only to ourselves now, not to some greater design’. By invoking fate in this selective manner, Dell is granting his parents a kind of absolution, perhaps because ‘blaming your parents for your life’s difficulties finally leads nowhere’. At the same time, he is also granting himself and his sister a level of freedom (but also responsibility). Weather means more than time on the prairie, and it measures the changes in oneself that are invisibly occurring. Things happen when people are not where they belong, and the world moves forward and back by that principle. These minor quibbles aside, Canada is a novel that deserves respect for its calm and thoughtful exploration of how we fashion stories about ourselves.